CHARLOTTE, N.C. (March 7, 2016) — Driven Brands Inc. wants to double the systemwide sales of its Meineke Car Care Centers brand by year-end 2018 by expanding the U.S. store network 50 percent to 1,400 locations and growing each store’s average revenue. 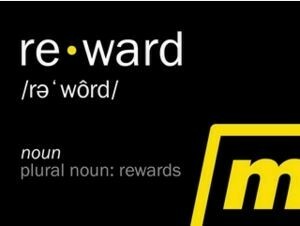 Meineke President Danny Rivera laid out the franchisor’s goals March 7 in a telephone conference call, during which he also announced the launch of the Meineke Rewards program, which awards customers points for their patronage that can be redeemed for services and/or parts. Mr. Rivera said Meineke expects to add franchisees in three different ways — recruiting new franchisees the “traditional” way, attracting entrepreneurs to the potential of the automotive aftermarket; incentivizing existing franchisees to open additional stores; and by recruiting institutional investors looking for a decent return on their investment. The automotive aftermarket in general and Meineke specifically have only scratched the surface of the latter of these three avenues, Mr. Rivera said. Such investors often have resources to consider opening multiple outlets at the same time. Mr. Rivera declined to be too specific about Meineke’s expectations regarding the potential revenue growth of existing stores, but he did say Meineke envisions growing the tire share of a typical store’s sales mix to 20 percent by 2018 from less than 5 percent currently.